MIRASCON provides insurance services to US Military, BFG and other NATO forces stationed in overseas. Whether you are on active duty, a dependent, a civilian or a contractor, we are here to meet your insurance needs. MIRASCON also assists other English speaking expatriates (US, CA, UK) with a permanent foreign address with vehicle or household insurance matters. MIRASCON offers best service at lowest possible rates for their high quality products. In Germany, we are located at all major military facilities with our own agencies and partner offices and provide direct, personal and friendly service for our customers. » Check out where YOUR local agent is based. For many years MIRASCON has been offering tailor made insurance products to NATO forces. Over the last few years, your jobs and the social environment of your families have become more and more challenging. The MIRASCON team is well prepared to serve and assist those, who have dedicated their lives and lifestyles to serve their country. We are here to support YOU, the soldiers, the dependents and the civilian contractors during your assignment overseas. 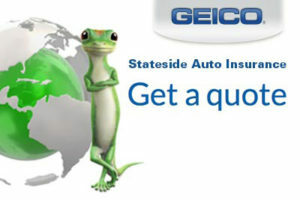 » GET A GEICO STATESIDE QUOTE! © 2019 MIRASCON Versicherungsagentur GmbH. All rights reserved.